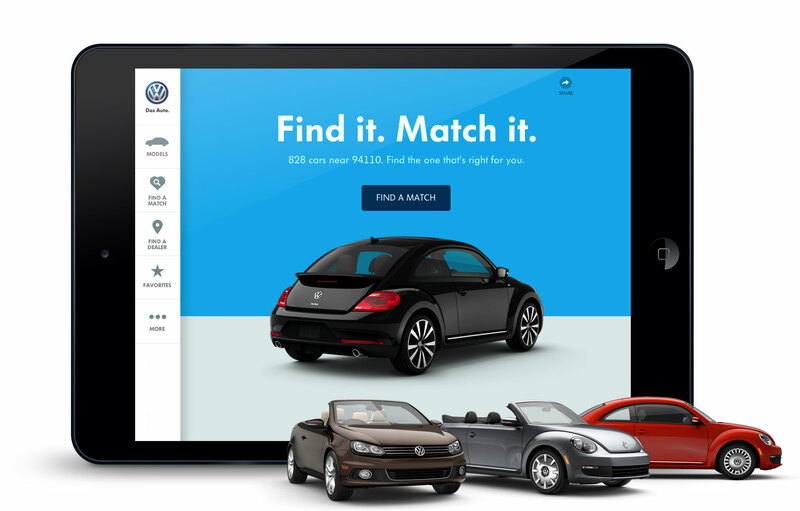 The new Volkswagen site is inspired by dating sites. Find your perfect match, equiped with everything you want. Choose your favorite model, colors, features, price and meet a car at a dealer near you. 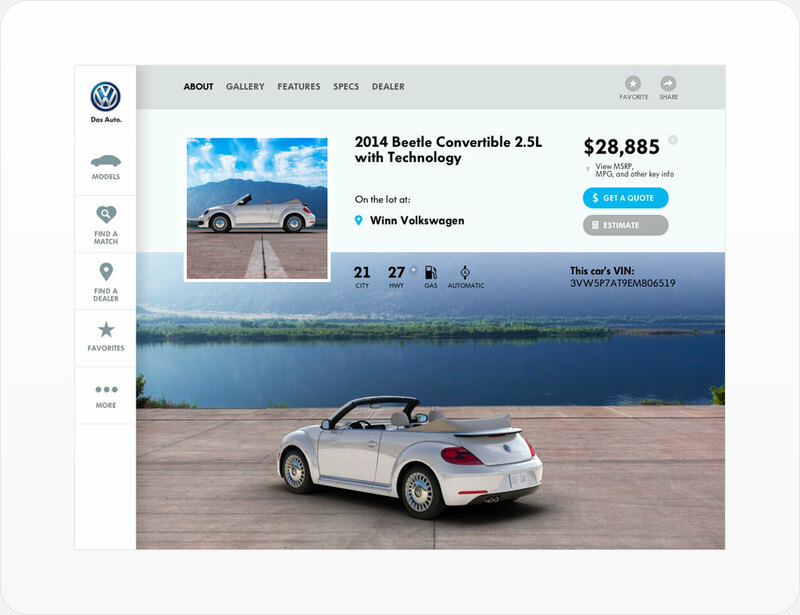 The site's design is optimized for simple touch interaction on tablets and desktop web. We worked on strategy, concept and design for the fun matching system. Take it for a test drive. Partners: Deutsch.